When in doubt, kill everyone. 4 Responses to When in doubt, kill everyone. Pretty sure they’re both from the same Deadpool comic. Well the one at the back is clearly Deadpool, so who are the other ones? 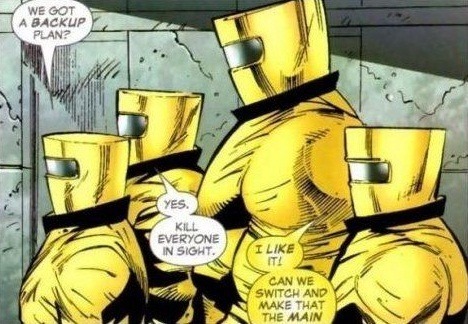 Are these guys from A.I.M. (Advanced Idea Mechanics)? The suits look familiar.